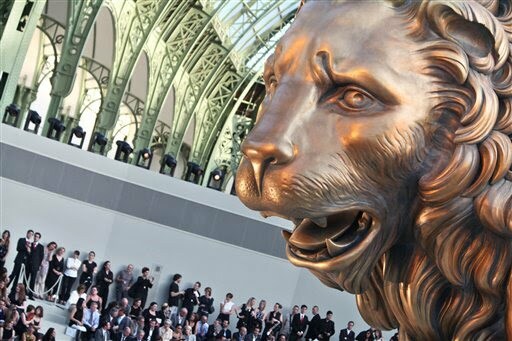 If It's Hip, It's Here (Archives): Chanel's Mane Event. The Winter 2010-2011 Haute Couture Show. 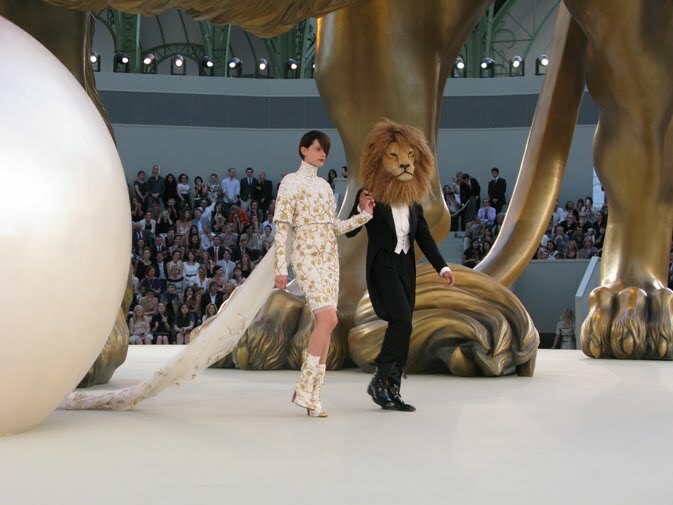 Chanel's Mane Event. 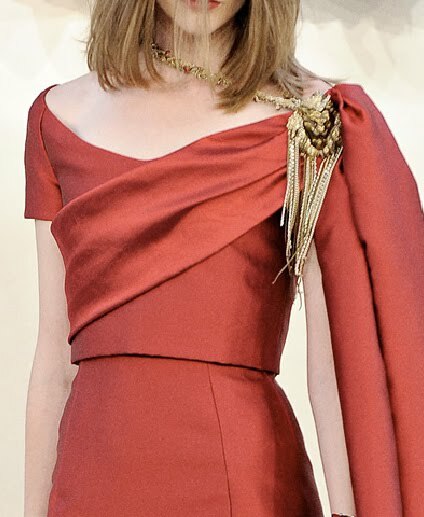 The Winter 2010-2011 Haute Couture Show. 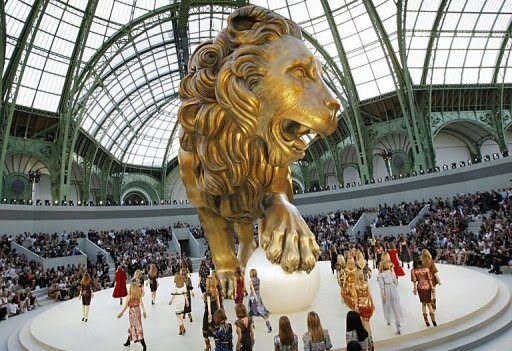 The newest haute couture collection from CHANEL premiered July 6 at the Grand Palais in Paris. 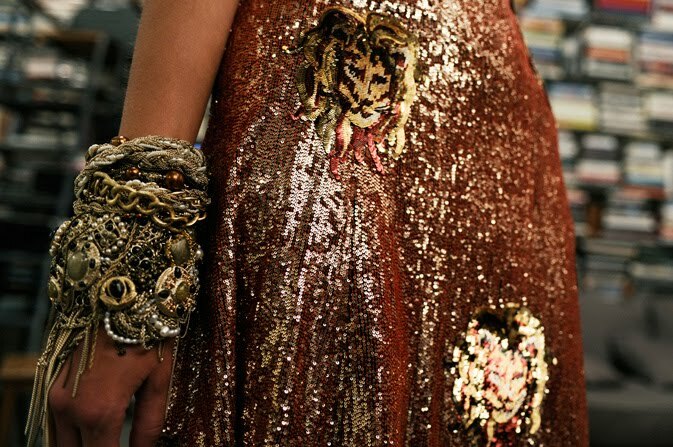 The collection was filled with rich brocades, luxurious sequins, ruched boots, new longer length dresses, some seriously puffy sleeves, tousled hair and lions. 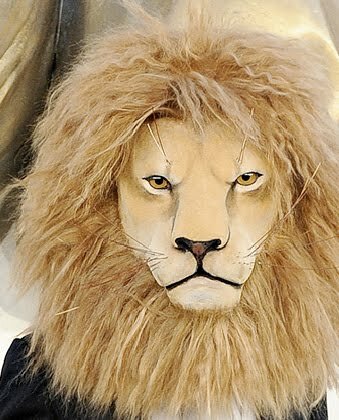 Yes, Lions. 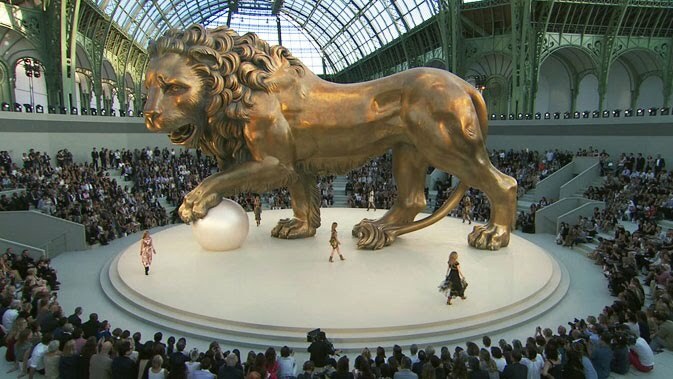 One of Karl Lagerfeld's most sumptuous and elegant collections to date, the Chanel show and collection were punctuated with multiple appearances of the King of the Jungle. 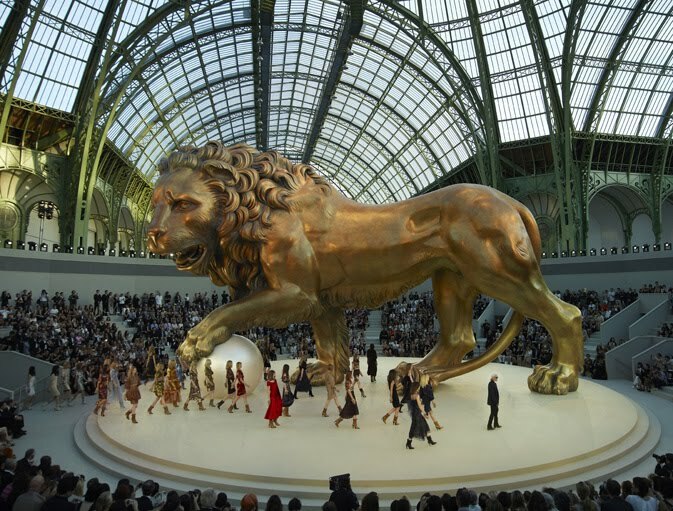 The set in Paris, designed by Stéfan Lubrina, had an enormous statue (reported to weigh 8 tons) of a Lion through whose giant paws the models strutted Karl Lagerfeld's latest looks. 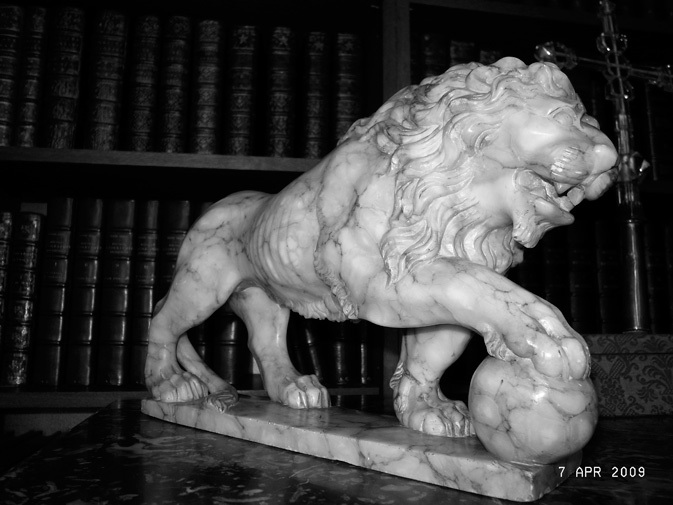 You can view a video of the construction of the set here. 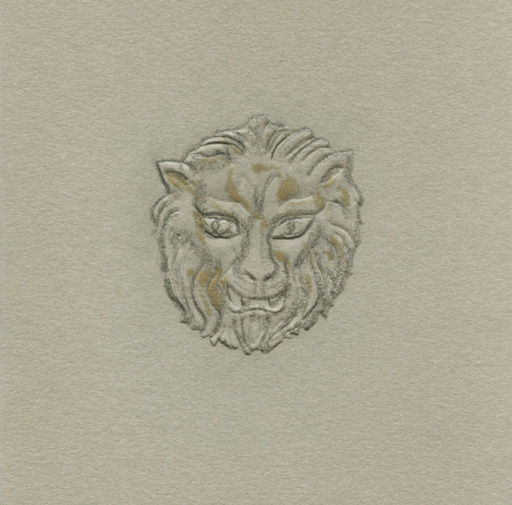 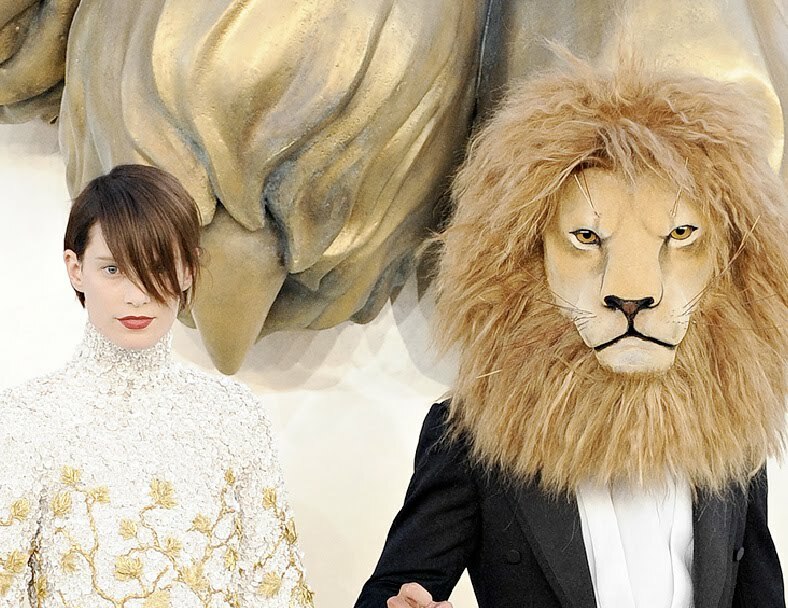 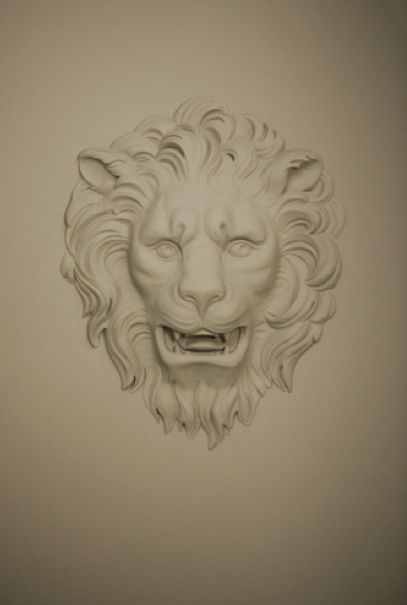 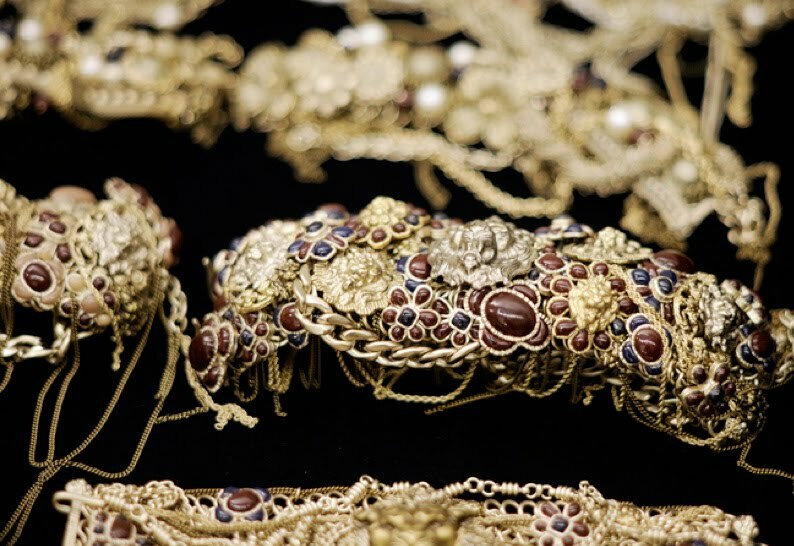 Lion heads adorned the invitation, the press kit, some of the jewelry, some of the gowns and even were embedded into some of the fabrics. 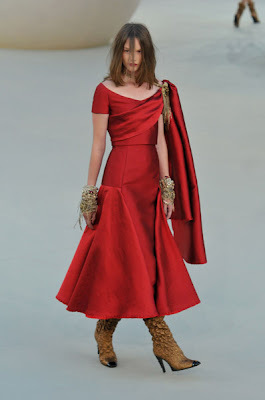 To see the entire Chanel Winter 2010.2100 collection go to the Chanel site.